Brown, Thomas C.. "Music at Expo 67". The Canadian Encyclopedia, 29 March 2017, Historica Canada. https://www.thecanadianencyclopedia.ca/en/article/expo-67-emc. Accessed 19 April 2019. 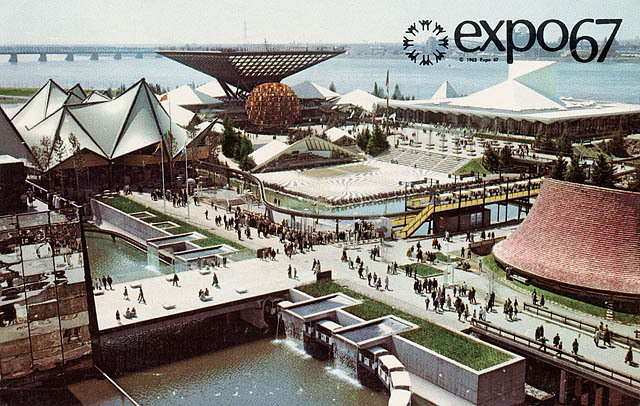 Expo 67 was the largest event among the celebrations marking Canada's centenary. It ran from 28 April to 27 October 1967, and its theme was “Man and His World.” The exposition was located on 400 hectares (ha) of man-made islands in the St Lawrence River adjacent to Montréal. Expo 67 was the largest event among the celebrations marking Canada's centennial. It ran from 28 April to 27 October 1967, and its theme was “Man and His World.” The exposition was located on 400 hectares (ha) of man-made islands in the St Lawrence River adjacent to Montréal, and comprised six “theme” pavilions, 48 national pavilions, four provincial pavilions, 27 private-industry and institutional pavilions, a 54-ha entertainment complex (theatres, midway attractions, bars and restaurants) called La Ronde, and numerous bandshells, open-air stages, plazas and small theatres scattered throughout the site. 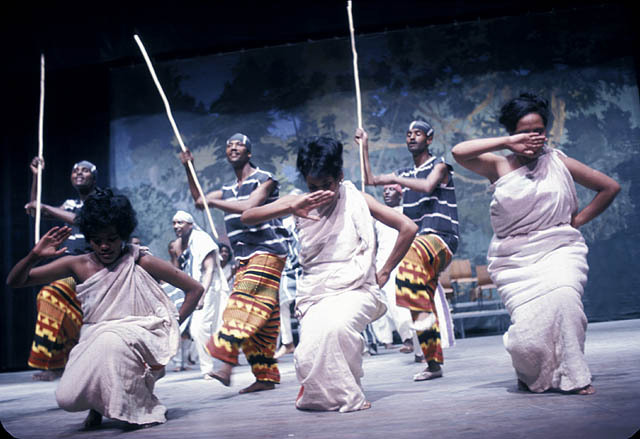 Associated and concurrent with Expo, and organized by artistic director Gordon Hilker, associate artistic director Gilles Lefebvre and administrative director Jean Coté, was the World Festival of Entertainment, featuring several of the world's leading opera, ballet and theatre companies, orchestras, chamber ensembles, jazz groups, singers, solo instrumentalists, dance bands, and pop and folk singers. The corporation's advisory committee on the performing arts was comprised of Peter M. Dwyer, Jean Gascon, John Hirsch, Jean-C. Lallemand and Jean Vallerand. 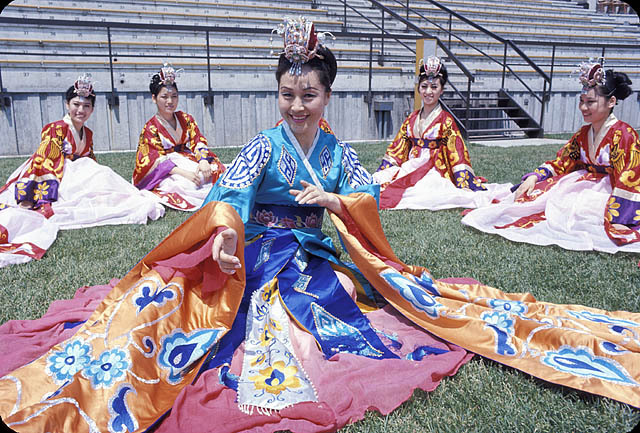 During the six months of the exposition, about 6,000 free concerts were presented on the Expo grounds by professional and amateur ensembles from around the world. Some were sponsored and paid for by their governments, and others contributed their services and paid their own expenses. Music was continuous and pervasive: concerts were presented at scheduled times in bandshells and plazas; strolling groups wandered the site serenading the crowds; groups were imported to play in national pavilions; musical comedies and operettas were presented in the Expo Theatre; and cabaret and pop-music performers were engaged at La Ronde. Composers commissioned to write works for concerts, films and the aural environments of some pavilions included: R. Murray Schafer (for the Chemical Industries pavilion, Kaleidoscope), Eldon Rathburn (for the NFB pavilion, Labyrinth), Serge Garant (for the pavilion Man and the Polar Regions), André Prévost, Alexander Brott, Robert Fleming and Otto Joachim (for the Canadian Pavilion), Dolores Claman and Richard Morris (for the Ontario Pavilion’s A Place to Stand, which won an Academy Award for Best Live Action Short Film), and Gilles Tremblay (who won the 1968 Prix de musique Calixa-Lavallée for his soundtracks for the Québec Pavilion). The World Festival of Entertainment constituted one of the greatest assemblages of musical talent ever brought together in one city, and certainly the greatest ever convened in Canada. The main location for the World Festival events was the Place des Arts (PDA) in mid-town Montréal, which Expo rented for the duration of the fair. Events were held in the PDA’s three theatres, in the 2,000-seat Expo Theatre built for Expo 67 just outside the main grounds, and in St-Jacques Roman Catholic Church. More than four million tickets were printed for 672 events, which featured 110 groups numbering nearly 25,000 performers from 25 countries (the figures included large-scale spectacles like the Canadian Armed Forces Tattoo, held in the Autostade adjacent to Expo). Attendance for opera was 87 per cent of capacity and for music, 72 per cent. A gala opening on 29 April featured the premiere of André Prévost's choral-orchestral work Terre des hommes by the Montréal Symphony Orchestra (MSO) and the World Festival Chorus (the latter prepared by Marcel Laurencelle) with Albert Millaire and Michelle Rossignol as narrators, and Pierre Hétu conducting. Wilfrid Pelletier also conducted the MSO and the Rutgers University Chorus in Beethoven's Ode to Joy, with Pierrette Alarie, Maureen Forrester, Léopold Simoneau and Joseph Rouleau as soloists. 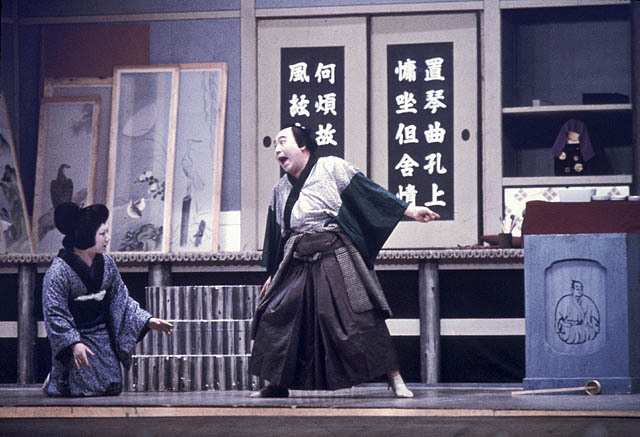 The full companies of La Scala, the Vienna State Opera, the Bolshoi Opera, the Hamburg State Opera and the Royal Swedish Opera, all making their North American debuts, each gave a number of fully-staged performances. The Swedish Opera was conducted by Silvio Varviso and Sixten Ehrling in productions of Verdi's Un Ballo in Maschera, Karl Birger Blomdahl's “space opera” Aniara, Stravinsky's The Rake's Progress (the Ingmar Bergman production), and Wagner's Tristan und Isolde with Birgit Nilsson and Ken Neate. The Hamburg State Opera was conducted by Hans Schmidt-Isserstedt and Leopold Ludwig in productions of Hindemith's Mathis der Maler, Berg's Lulu, Janáček's Jenůfa and a concert version of Weber's Der Freischütz. The Vienna State Opera was conducted by Karl Boehm, Heinrich Hollreiser, Berislav Klobucar and Josef Krips in productions of Mozart's Don Giovanni and The Marriage of Figaro, Strauss' Elektra and Der Rosenkavalier, and Berg's Wozzeck. The Bolshoi Opera of Moscow performed in productions of Borodin's Prince Igor, Mussorgsky's Boris Godunov, Tchaikovsky's The Queen of Spades, Prokofiev's War and Peace, and Rimsky-Korsakov's The Invisible City of Kitezh. La Scala of Milan performed in productions of Verdi's Il Trovatore and Nabucco, Puccini's La Bohème, Bellini's I Capuleti e i Montecchi and Verdi's Requiem conducted by Herbert von Karajan. 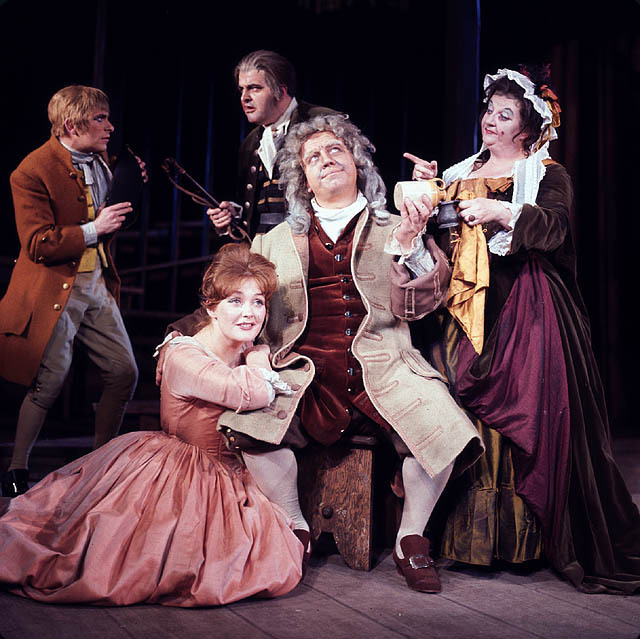 The English Opera Group was conducted by Benjamin Britten, Rudolph Schwarz, James Lockhart and Steuart Bedford in productions of Britten's Curlew River, The Burning Fiery Furnace and A Midsummer Night's Dream, Walton's The Bear, Handel's Acis and Galatea, and John Gay's The Beggar's Opera (realized by Britten). The Canadian Opera Company (COC) was conducted by Victor Feldbrill and Otto-Werner Mueller in productions of Harry Somers'Louis Riel and Offenbach's Tales of Hoffmann with Bernard Turgeon, Cornelis Opthof, Joseph Rouleau, Patricia Rideout, Roxolana Roslak, Mary Morrison, André Turp, Colette Boky, Eleanor Calbes, Heather Thomson, Phil Stark, Jan Rubes, Norman Mittelmann and Alan Crofoot. A two-opera season was also given by the MSO: Verdi's Otello, with Jon Vickers, Teresa Stratas and Louis Quilico, was conducted by Zubin Mehta; and Gounod's Faust, with Joseph Rouleau, Richard Verreau, Robert Savoie and Heather Thomson, was conducted by Wilfrid Pelletier. Orchestral concerts were given by the Vienna Philharmonic under Karl Böhm, l'Orchestre de la Suisse romande under Ernest Ansermet and Paul Kletzki, the Concertgebouw Orchestra of Amsterdam under Bernard Haitink, the ORTF Orchestra, the Czech Philharmonic, the Buffalo Philharmonic, the National Youth Orchestra (NYO), the Melbourne Symphony Orchestra under Willem van Otterloo with the soprano Marie Collier, the Hamburg Symphony Orchestra, the New York Philharmonic, the Toronto Symphony (now the Toronto Symphony Orchestra), the Los Angeles Philharmonic, the San Francisco Symphony Orchestra, the MSO, the JM International Orchestra and the Northern Sinfonia of England. Chamber orchestras and ensembles included the Collegium Musicum of Zurich under Paul Sacher, the Prague Soloists, the Berlin Philharmonic Octet, the Slovak Quartet, the Scarlatti Orchestra of Naples under Mario Rossi and Massimo Pradella, the Solistes de Liège, Belgium, the Bath Festival Orchestra under Yehudi Menuhin, the Danzi Quintet of the Netherlands and the Stern-Rose-Istomin Trio. Solo recitals were given by Henryk Szeryng, Christoph Eschenbach and Arturo Benedetti Michelangeli. Choirs included the Red Army Chorus and the Piatnitsky Choir of the USSR, the Munich Bach Choir and Orchestra, the Copenhagen University Choir, the Lado Folkloric Ensemble of Yugoslavia and the Swiss Folkloric Ensemble. Image: Library and Archives Canada/1970-019 NPC. A wide range of performers from the pop, folk and jazz genres played concerts — some ticketed, others free of charge — at Expo 67, including The Supremes, who played six sold-out shows at the Expo theatre. They also appeared in one of two episodes of The Ed Sullivan Show filmed at the Expo; the other featured British singer Petula Clark, the Australian pop group The Seekers and Swedish soprano Birgit Nilsson performing with the MSO. Other singers of note included Luciano Pavarotti, Harry Belafonte, Bing Crosby, Renée Claude, Gilles Vigneault and Maurice Chevalier. 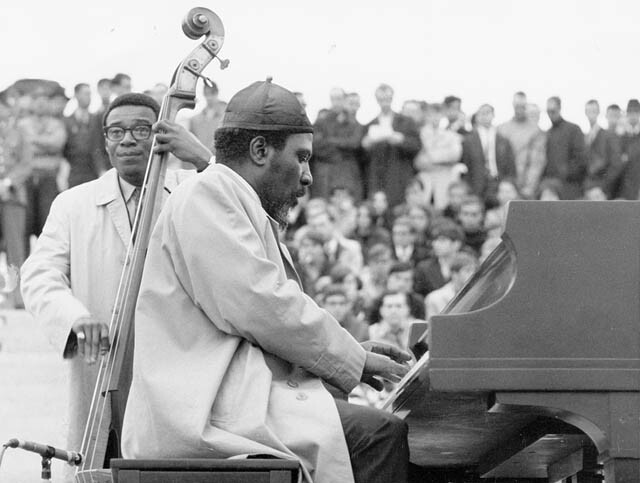 The psychedelic rock groups Jefferson Airplane and the Grateful Dead, blues master Muddy Waters, and jazz acts the Dave Brubeck Quintet, Thelonius Monk, George Wein & The Newport All-Stars, and Roy Eldridge performed. The Herbie Mann Quintet also headlined performances, while Duke Ellington and his Orchestra played several shows with Sarah Vaughan. The dance and folkdance companies to perform at Expo 67 were Belgium's Ballet du vingtième siècle, the Bolshoi Ballet, the Paris Opera Ballet, the Royal Ballet of Britain, the Australian Ballet, the National Ballet of Canada, the Royal Winnipeg Ballet, Les Grands Ballets Canadiens, the New York City Ballet, the Martha Graham Dance Company, the National Dance Theatre of Jamaica, the Troupe nationale folklorique tunisienne, the Japanese Folkloric Art Dance Company, Music and Dance of India, and Fiesta Cubana. The main location for musical performance by Canadian artists was the Canadian Government pavilion, named Katimavik (an Inuit word for “gathering place”). It contained a 500-seat theatre and a 1,200-seat open-air bandshell, where 58 shows were presented each week by all kinds of groups and individual artists. Hugh Davidson was music consultant to the pavilion's administration. Four concerts were given each day (except Mondays) in the bandshell: amateur choirs and ensembles at noon; a concert band at 2:30 and 5:00 p.m.; and chansonniers and folksingers at 3:45 p.m. In the theatre (also closed on Mondays) there were organ recitals at noon (on an instrument donated by Casavant Frères), chamber music and jazz groups at 2:30 p.m., two performances each afternoon by the dance troupe Les Feux-Follets and a musical-comedy revue at 6:15 p.m. On Saturdays and Sundays the 2:30 p.m. performance featured recitals, the official accompanist for which was John Newmark. 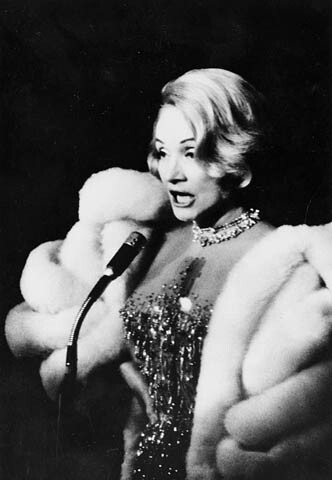 Weekend recitals were performed by Pierrette Alarie, Donald Bell, John Boyden, Victor Braun, Hyman Bress, Maureen Forrester, Richard Gresko, Elizabeth Benson Guy, Ida Haendel, Betty-Jean Hagen, Walter Joachim, Lois Marshall, Zara Nelsova, Louis Quilico, Joseph Rouleau, Robert Savoie, Steven Staryk, Bernard Turgeon, Ronald Turini, André Turp, Richard Verreau, the duo-pianists Victor Bouchard and Renée Morisset, and the singers Shirley Harmer, Pauline Julien and Monique Leyrac. Regular concerts were held every weekday at 2:30 p.m. and included performances by orchestras (e.g., the Hart House Orchestra), vocalists (e.g., the Ensemble vocal Chantal Masson, the Festival Singers, the Manitoba University Consort, the Petit Ensemble vocal, Phyllis Mailing), chamber groups (e.g., the Baroque Trio of Montréal, the Hidy Trio, the duo of Arlene and Joseph Pach, the Cassenti Players, the Gabora String Quartet, the Orford String Quartet, the Toronto Woodwind Quintet, the Québec Woodwind Quintet, the McGill Chamber Orchestra) and jazz bands (the Lee Gagnon Jazz Ensemble, the Trio Pierre Leduc, the Moe Koffman Quartet, the Tommy Banks Quartet, the Yvan Landry Jazz Quartet, the Ron Collier Jazz Group, the Lance Harrison Dixieland Band, Nimmons 'n' Nine). Groups organized by the Société de musique contemporaine Québec (SMCQ) and the Ten Centuries Concerts also performed. Each group played for four consecutive days, usually in a variety of programs. Organ recitals in the theatre were given by Françoise Aubut, Hugh Bancroft, Douglas Bodle, Antoine Bouchard, Barry Cabena, Raymond Daveluy, Maitland Farmer, Frederick Geoghegan, Kenneth Gilbert, Conrad Grimes, Gordon Jeffery, Mireille Lagacé, Claude Lavoie, Jean Leduc, Lucienne L'Heureux-Arel, Hugh McLean, Kenneth Meek, Charles Peaker and Gerald Wheeler. Bandshell concerts featured Hélène Baillargeon, Oscar Brand, Pierre Calvé, Dinah Christie, Tommy Common, Michel Conte and Micheline (Bardin), Bobby Curtola, Bonnie Dobson, the Maynard Ferguson Sextet, Louise Forestier, Tom Kines, Penny Lang, Raymond Lévesque, Gordon Lightfoot, Malka and Joso, Bruce McKay, Alan Mills, Jean-Guy Moreau, Ginette Ravel, La Famille Soucy, The Travellers and Alexandre Zelkine. Many of these concerts were recorded by the CBC for subsequent broadcast, and LPs of more than 40 of them were made available in the CBC Expo series. The Man and Music Pavilion was devoted to the work of Jeunesses Musicales du Canada (JMC) and featured displays, facilities for listening to recorded music, exhibits of major teaching systems such as Orff and Kodály, and studios in which master classes in teaching were held each day, observed by the public. The prefabricated concrete building which housed this activity was later moved to become part of the JMC music camp (Orford Arts Centre) at Mount Orford, QC. Between 16 July and 22 July, on the Expo site and around Montréal, the JMC was host to the 21st World Congress of the International Federation of the Jeunesses musicales (Fédération internationale des Jeunesses musicales). It held the final rounds of major national performing competitions and an international composition competition. Winners of the former were Andrew Dawes (strings), Annon Lee Silver (voice) and Robert Silverman (piano), and of the latter Josef Maria Horvath (Austria), Sydney Hodkinson (Canada), Zsolt Durko (Hungary), Martin Boykan (USA) and Michael Finnissy (England). A gala concert by the winners of the JMC National Competition was also held. The official theme-song of Expo 67, selected by a jury in a competition that saw more than 2,200 entries from 35 countries, was “Hey Friend, Say Friend” (French version “Un Jour, Un Jour”) by Stéphane Venne. It was recorded and widely played on radio stations in Montréal but did not meet with enthusiasm from Montréal Mayor Jean Drapeau, one of the chief proponents of Expo 67, because its lyrics made no mention of the host city. Bobby Gimby’s “Ca-na-da,” the official theme song of Canada’s centennial celebrations, was more widely popular, becoming the highest-selling single in Canada that year. Robin Green, “Opera at the World Festival,” OpCan vol. 7 (September 1966). J. Rudel-Tessier, “Stéphane Venne Wins Expo Song Contest,” CanComp 14 (January 1967). “Canadian Music at Expo,” CanComp 14 (January 1967). “Three Canadian composers Set Puppet Fantasies to Music,” CanComp 17 (April 1967). John Kraglund, “Review: Expo's World Festival,” OpCan vol. 8 (September 1967). Marc Gélinas - La RondeWatch Marc Gélinas perform the Expo 67 song “La Ronde,” accompanied by François Cousineau. From YouTube. John Klein & The Paul Baillargeon Orchestra - Expo '67 ThemeListen to an instrumental version of "Hey Friends, Say Friends" played by John Klein (U.S. Carillonneur) on the Expo '67 Centenary Carillon (Sunlife). Donald Lautrec - Hey Friend Say FriendListen to Donald Lautrec’s version of the Expo 67 theme song 'Hey Friend, Say Friend.' Composer: Stéphane Venne. Expo 67: Bobby Gimby's 'Canada'Watch this CBC music video featuring Bobby Gimby, composer of Canada!, leading a parade of children through the pavilions of Expo. Centre ElanGilles Tremblay's electroacoustic work Centre Elan was the music featured in Quebec's pavilion at Expo 67. From the Canadian Music Centre. Terre des hommesListen to a clip of “Terre des homes” performed by Montreal Symphony Orchestra, conducted by Pierre Hetu. From the Canadian Music Centre. Free registration required. Diversities for Violin, Bassoon and PianoListen to audio clips from a recording of Robert Turner’s Diversities for Violin, Bassoon and Piano from Robert Turner’s website. A Place to Stand - OntarioView an excerpt of the Oscar-winning short film “A Place to Stand” featuring the song of the same name. Song composed by Dolores Claman. From YouTube.